Expecting a boy? 10 Things you need to know. If you are new to this blog, I'm Louise and I am a Mum to 3 young boys and wife to one large one. I had no previous ideas on boys. I had one sister and whilst we weren't perfect, I for one was a happy to sit down for an afternoon colouring in. Having not one but three boys has been a shock to my system. I won't lie, it is exhausting. 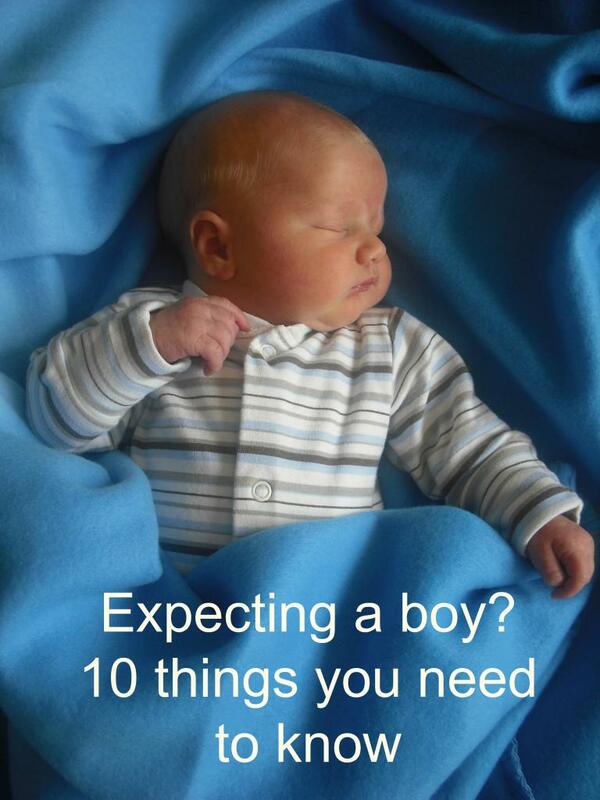 Here is my list of 10 things you need to know if you are expecting a boy. 1. From the moment that you have introduced the world to your bundle of blue joy, family and friends will be asking you when you will be trying for a girl. I'm not sure why it is considered that everyone wants a girl, but it is. If you have 2 boys it is naturally assumed you'll have a third as you will be trying for a girl. If God forbid you are blessed with 3 little men, you will be greeted with a head tilt and comments of hopefully someone else in the family can produce a prized girl. 2. Boys run everywhere. They seem unable to walk, just run. We don't walk to school we run there. With constant screams of, "stay to the other side of the pavement, don't push each other and look out for cars!" coming from me. It is a relief to drop them off to school each day in one piece. Boys need a good run around every day and I have been known to send the boys out into the garden and run in circles to help them work off some of their excess energy. 3. Buy shares in superglue. My boys are good with their toys and not destructive with them yet still they manage to break things left right and centre. Superglue is a mum of boys best friend. Unfortunately it doesn't work on worms. 4. Boys are messy. They can trash a playroom in 10 seconds flat. Big man is able to go up to do his homework and 10 minutes later his room is covered in ripped up pieces of paper and pencil sharpenings. It is a soul destroying task cleaning their rooms as they never stay tidy for long. I have been know to take a photo of the tidy room, just so I can show my husband that I had done something with my day other than eat cake and drink coffee. You can bet that by 7pm when he walks through the door the house is trashed again. 5. Sticks and stones are important. Just accept and don't question this. It may look like a rotten dirty twig that "is definitely not coming in the car" but it is much much more to the male species. I figure it must date back to caveman times when man started fires. Give up and lose the battle on allowing the sticks to come home in the car, but insist that the sticks must be left outside the house. You can easily tell the house where multiple boys reside as there will be what resembles a small bonfire sitting by the front door. The same also applies to stones. 6. They don't feel the cold. I have had many an argument with big man in the freezing autumn mornings over wearing shorts to school. After much discontent he has changed for us to get to school and see at least 2 other class members wearing shorts. He argues over wearing a jumper most days and as far as I can tell the only use for a winter coat is to tread on on the car floor. Little man did not think that this was a bad clothing choice in the rain last week. 7. They say the fastest way to a man's heart is through his stomach and this starts from a very early age. My kids don't stop eating! From conversations with my Tesco delivery driver, this is only going to get worse. The times big man has asked when is tea after he's just eaten it are occurring more and more. Apparently a sandwich is now seen as a snack item. 8. Boys are competitive. All the time. From the race to school in the morning to the questioning about "who is top of your good boy list Mummy?" on a daily basis. A mum of boys has to learn how to use this to her advantage. 9. They have an early fascination with their bits. From very early days, the moment you remove their nappy, they will reach down to check everything is there. From what I can gather this obsession will never stop. 10. They give the best hugs. So enjoy your bundle of blue joy. 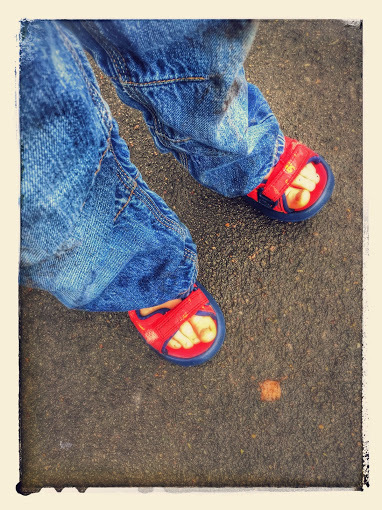 They may be muddy and messy but they are lots of fun. I have 3 and I wouldn't swop them for the world. 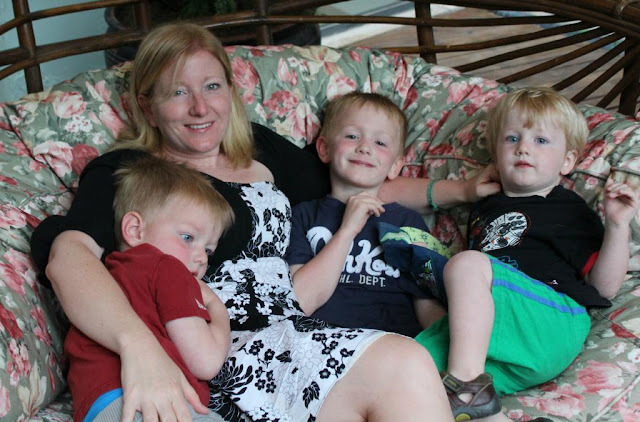 I can't help but agree with everything here as Mum of 5 boys. You have it spot on! Mum of two boys here. This post made me laugh! Soo true especially the run everywhere part. Great picci of you all, they look just like their mama. What a lovely post. I am sure there's many girls like this too but I wouldn't know and it's def the case like this in our house. So true! I have one of each and my boy is completely different from my girl. I'll tell you, if my girl had been her first, there would be no boy! I think my biggest shock was I was expecting boys and girls to be pretty much the same. Ahh I love this, especially the last point. I found myself nodding to lots of these points...especially the sticks and stones one, what IS that all about!? Loved reading this post because I have a son too! I have no idea - I thought they grew out of it but my husband and his brother get very excited about large sticks now at the age of 30 something! Really interesting post which I will be bumping to my buddy expecting her first boy (after a girl). Although I read each one and thought this is just like my girls...except no9!! Aww, that's a great post and one that I SO relate to! I did have a girl first, so she paved the way but when I had my boy I discovered he different they are - nature vs nurture! Everything you've said here - the running, the destruction (but not on purpose), being governed by their tummies and desire to check themselves - made me laugh because it's v observant and very true. Even the cuddles; boys do give great cuddles ! A packet of biscuits is demolished in minutes! My second should have been a boy! she does all of the above.. she must run everywhere (with head down looking at the floor..) eats and eats and eats, always has her hand down her nappy anything in any room is trashed instantly. its never ending with her. she also climbs everything!